I am struck in my initial reading by the audience for this passage from Isaiah. The prophet is declaring joy and courage and gladness, but for whom? 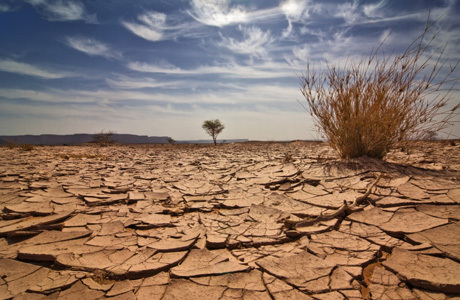 For the wilderness, the dry lands, the weak hands, the feeble knees, the fearful hearts. Those are the places and peoples that probably need joy the most, but they also seem the least likely to find it, at least in their current condition. Usually, we believe that joy is something that comes after—after we have powerful hands and strong knees and courageous hearts, after we have overcome our fears. Then we have joy. But Isaiah here, at least at the beginning, seems to point to something else. He declares: “The wilderness and the dry land shall be glad, the desert shall rejoice and blossom; like the crocus it shall blossom abundantly, and rejoice with joy and singing.” (Isaiah 35:1) I think Isaiah might be describing the possibility of joy before all those things happen, while we are still weak, feeble and fearful. If that’s what he’s talking about, then I’m definitely listening—because weak, feeble and fearful feels a lot more like my life most of the time than strong, powerful and courageous does. 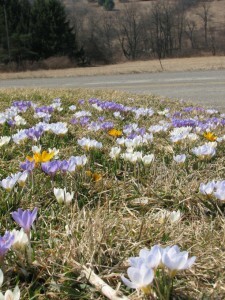 It’s the image of the crocus that speaks to me of joy “before and during,” rather than only the joy that comes “after. “ I don’t know much about flowers, but I do know what a crocus is, and when it blooms. The crocus is a tiny stump of a flower, just a few inches off the ground, and it comes in all kinds of colors—purple, yellow, lavendar, white. This ferocious little flower is most renown because it blooms when nothing else does. Before the snow has even melted away, before the trees show the smallest bud or the grass hints at green, you can find crocuses poking their heads out and displaying their colors for the world. And after the fall has taken its toll, when leaves have fallen and trees are bare and grass is withered, the crocus appears again, defiantly spring-like with its colorful petals and green stems amidst the grays and browns on the landscape. The second half of the passage speaks of more traditional rejoicing. Of course we rejoice when the blind can see and the deaf can hear and the lame can walk. Of course we rejoice when the drought is ended and the green growth returns. When we have security from lions and beasts, when we are on the right path and nothing can deter us, when we get to go home again—of course the sorrow and sighing flee away when that happens. The second half of this passage from Isaiah reassures us that that day of rejoicing will come, that God’s promises are true and God will make those things happen, and we will rejoice when they do someday. While that is an important reminder, what’s far more compelling to me is that crocus, which seems to tell us that we don’t need to wait for all that stuff to happen to find joy. 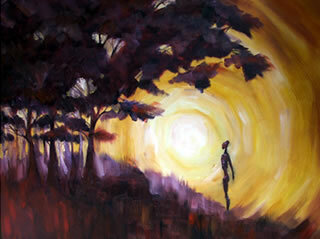 A joy that, like a crocus, blooms when it is illogical, impossible, inconceivable—that’s the joy I need. A joy that doesn’t wait for me to get myself together, to clear away the icy relationships or nurture the fallen prayer practices back into life or fix the withered courage in my heart. A joy that comes before we are healed and fixed and organized and prepared and reconciled and righteous and whole and holy. That kind of joy could only come from God. I have to think that our God of Christmas incarnation is a God of that crocus-like joy. After all, God did not wait for the world to get its act together before sending Christ. Mary and Joseph didn’t have their lives arranged just right to welcome a baby. They didn’t even have a proper place to stay in Bethlehem. The shepherds were terrified of the good news, and certainly did not prepare themselves for the holy. Yet God came anyway, the tiny babe was born, and everyone rejoiced. 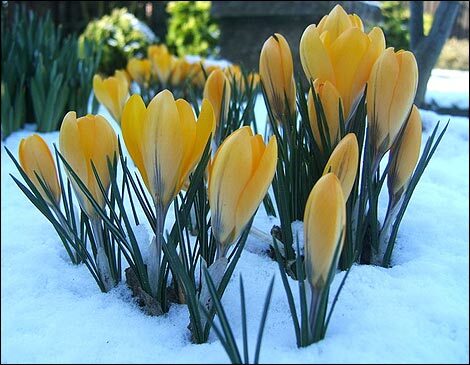 A crocus in the snow, a spring of water in the desert, joy in spite of fear and doubt. Feeble knees and weak hands and fearful hearts, there is joy for you as well. Flowers bloom even in the desert. Joy is possible even amid doubt and fear and struggle. God comes to us just as we are, right now. Thank God, because I don’t think I’d find joy any other way. This week is all about hope, a word that has endured a lot of attention in recent years. 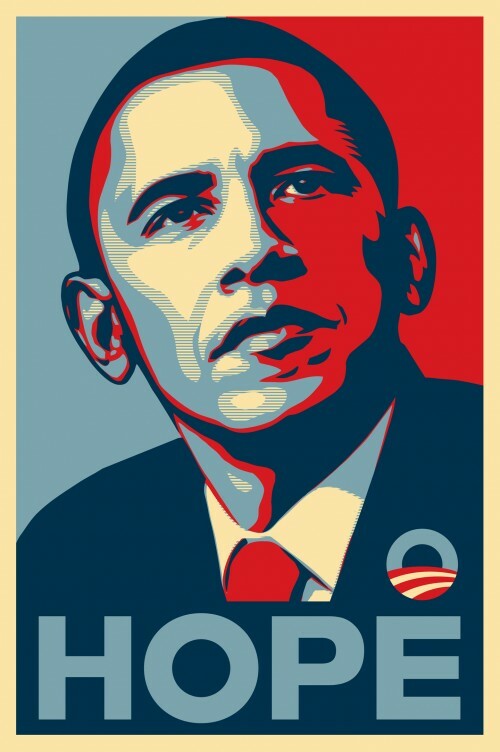 When the Obama campaign used “Hope” as its campaign theme in 2008, those who supported the campaign rallied around hope as our solution and salvation—even when the campaign never clearly defined what we were hoping for. Of course, as is natural in a political struggle, opponents of the Obama campaign attacked not only the candidate, but the campaign theme. Rush Limbaugh, Sean Hannity, Bill O’Reilly and others began to mock the concept of hope as a way of mocking the Obama campaign. Hope, they said, was “an excuse for not trying,” a flimsy, lazy concept that replaces the real work of improving the world. Regardless of where you fall on the political spectrum, as Christians, the concept of hope remains critical to our faith. We are a people of hope. Especially in this Advent season, we talk about hope in God’s coming into our midst with love and new life and salvation in the form of a tiny baby in Bethlehem. The kind of hope we Christians practice does not resemble the hope of politics, whether from the right or the left. 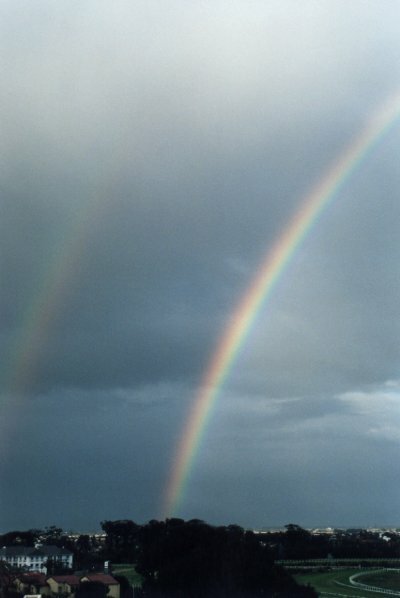 It is not some vague sentiment that things will get better, that everyone will be happier, that life will be easier. The passage from Romans tells us what we are hoping for: “grant you to live in harmony with one another … that together you may with one voice glorify God.” We are hoping for unity among human beings, so that all creation might praise God with one voice. Neither is hope an excuse for inaction or laziness, believing that things will get better without your help or involvement. 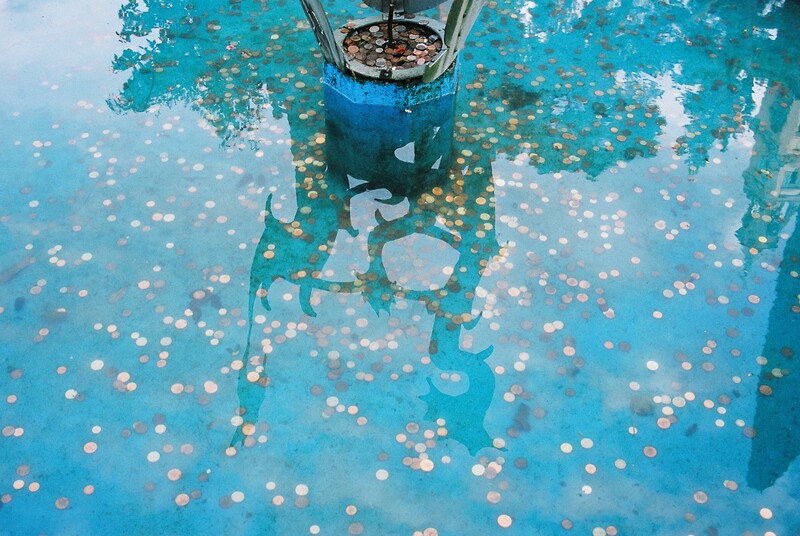 It is not a wish that we toss half-heartedly into a fountain with little faith in its eventual fruition. Again from Romans: “For whatever was written in former days was written for our instruction, so that by steadfastness and by the encouragement of the scriptures we might have hope.” Hope is instructive, it shapes us and encourages us to undertake the challenging work of living in unity for the praise of God. One of my favorite articulations of Christian hope is from the Rev. Dr. Martin Luther King, Jr., who said that “the arc of the universe is long, but it bends toward justice.” He delivered those words on the steps of the Alabama State Capitol to a foot-weary crowd at the end of a five-day march to Montgomery. They had endured great suffering and made great sacrifices for the cause of civil rights. His speech was entitled, “Our God is Marching On!” King was inspiring hope in answer to the rhetorical question, “how long?” How long must we wait for justice? Not long, he said, because God is in charge, and God will not let hate rule forever. That’s what Christian hope is. Christian hope is the quiet, determined confidence that God’s promises will prevail, that God is in charge of the universe and God’s love will not end in failure. Christian hope is what inspires and sustains real action to help build God’s kingdom here on earth. Like praying for peace, praying with hope moves the one praying into deeper commitment to a life of love. Ours is not an unfounded hope. It rests on a firm foundation—the legacy of God’s saving action and fulfilled promises throughout history. We hope in God for the future because we have known God’s faithfulness in the past. In Romans, Paul points to “the promises to the patriarchs.” God promised Noah that the earth would never again be destroyed, and God delivered on that promise. God promised Abraham offspring and land, and God delivered on that promise. God promised the Hebrew people deliverance from Egypt, and God delivered on that promise. God promised sustenance in the wilderness, and God delivered on that promise. God promised that Jesus would be raised from the dead, and God delivered on that promise. We can look to the past and see God’s faithfulness because God’s promises come true over and over again. Our hope is founded in a God who acts to save us time and time again, and we therefore believe God will act to save us again now and in the future. That’s what hope is–determined confidence that the same God that answered the prayers of our ancestors will answer our prayers as well. God promised that we will have new life, and God will deliver. God promised that the end of this world will be with God, and God will deliver. God promised that peace and justice will reign, and God will deliver. Advent reminds us of God’s biggest promises: that peace and justice will prevail, that human beings will live in unity, that new and eternal life are possible, that we will be saved from sin and destruction. It is a season for robust hope, and for letting that hope inspire big plans that provoke and inspire action now and in the future, for the future. After all, our hope rests in a great God, who fulfills promises and leads us in the path of unity, peace and justice. We worship an all-powerful, all-loving God. We need to make plans and dream dreams and set hopes that are worthy of God’s greatness. Any less than abundant hope is not worthy of the greatness of our God. First Christian Church, Columbus, IN. Designed by Eliel Saarinen. Photo by revjmk. 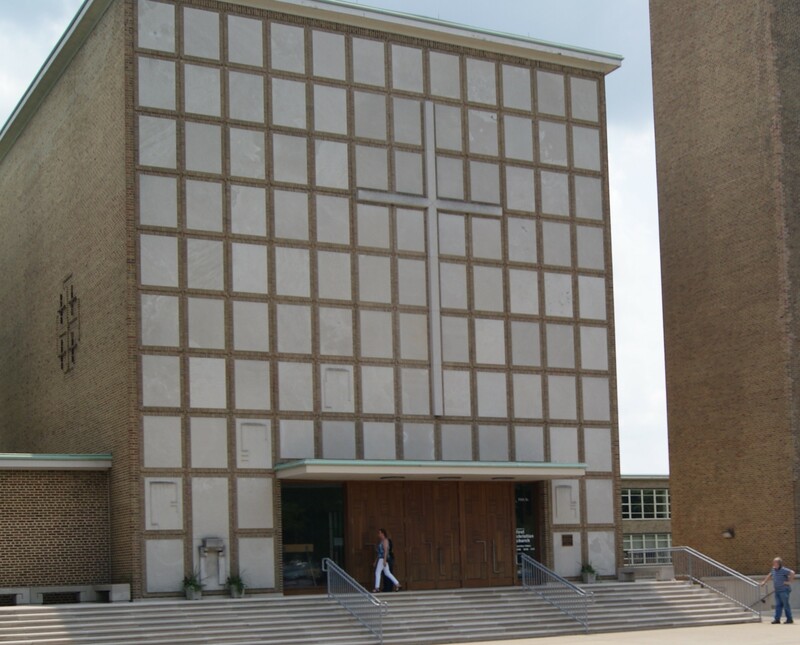 The First Christian Church in Columbus, Indiana is an imposing edifice of concrete block, one of the first churches in the country designed with contemporary architecture. Like most churches, the front is adorned with an enormous cross, the dominant symbol of Christianity and the central fixture of many Christian churches. What is unique about the cross on the front of First Christian Church of Columbus is that it is off-center. At first, I did not notice. My eyes and brain gazed at yet another enormous cross, and assimilated the cross to its rightful place at the center of the building. Even when someone pointed it out to me, I still had to look at it for a moment before I could take it in. What does it mean to decenter the cross? The cross is not neutralized or hidden on the face of the church. Indeed, it dominates the front face of the building. Neither does the cross, though enormous and prominent, overwhelm the other facets of the church. The off-center cross invites attention to the space around it. The decentered cross has the effect of making room for something more. The cross is monumental, but it is not a fixed point upon which all else focuses. Situated slightly to the side, the cross seems to make way for the resurrection. It beckons you to notice the empty space around it, and the church life it announces. The decentered cross is not the end or the goal or the center—it is the beginning of new life, an opportunity for God’s resurrection and a call to sacrifice in order to build the Kingdom of God on earth. The decentered cross reminds me that the true power of the cross of Christ is that it decenters us. It displaces us from our self-centeredness and challenges us to look toward the needs of others. It replaces strength with weakness and violence with peace. It overcomes the power of fear and death. The cross of Christ is always decentered, and decentering. It always points beyond itself to the resurrection, and it always upsets the balance of power. Whenever I contemplate the cross, I feel God’s pull dislodging me from selfishness and returning me to wholeness. Decentered and decentering, always. 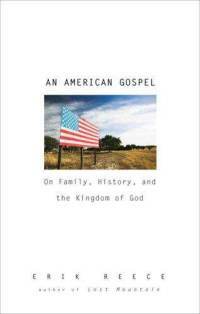 An American Gospel: On Family, History and the Kingdom of God, by Erik Reece, Riverhead Books, 2009, 224 pages. I read this book on the recommendation of a church member currently seeking a new path back to faith after a tragic loss. He said it had spoken to him of a different kind of faith, and I was curious enough to read. Besides, I always love a good spiritual autobiography. This book was not at all what I expected. There were parts I loved, parts that bored me, parts that intrigued me, parts that moved me, and parts that I found simply amateur and naive. This book is not-quite-equal parts autobiography and American religious history. Reece recounts his religious journey as the son and grandson of a fundamentalist preacher, his grappling with his father’s suicide and his attempts to find a faith beyond fundamentalism. He also traces a line of a particular American faith that runs counter to the Puritan fundamentalism he was raised with, drawing a line from William Byrd to Jefferson to Whitman and Emerson to James and Dewey to Dr. Lynn Margulis. He even finds a way to argue that the Gospel of Thomas is the key to finding a true American gospel. Here’s what I loved: Reece’s resurrection of and perspective on these great American thinkers and their faith. 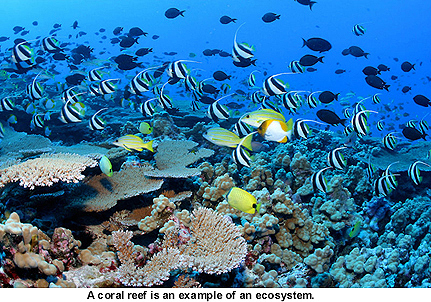 He points to two key factors among all these American poets and philosophers: their connection to the natural world, and their pragmatism about finding a faith that works to make the world a better place. He made me want to read Emerson and Whitman again, in depth. I agree with his call to panentheism, a faith that sees God at work in everything around us. Here’s what bored me: Reece offers yet another critique of atonement theology, a harsh critique of Pauline Christianity and fundamentalism. He find Jefferson, Whitman and the Gospel of Thomas scandalous to this Christianity, and argues that the kingdom of God is all around us in this life, not just something we await in the next. Many Christians (and I count myself among them) crossed this bridge a long time ago, and the critique seemed stale. I’ve seen it done much better elsewhere. Here’s what intrigued me: In addition to creating a desire to reread Emerson and Whitman, Reece introduced me to Dr. Lynn Margulis, and I wrote extensively of my intrigue with her work in another post. Here’s what moved me: The final chapter brings together all the pieces Reece lays out for an American gospel. He connects naturalism with a new reading of the Genesis creation narrative, which results in a pragmatic demand to build the kingdom of God on earth. He imagines this as an aesthetic experience, where religion is beauty and beauty is religion. It was a beautiful portrait of faith. 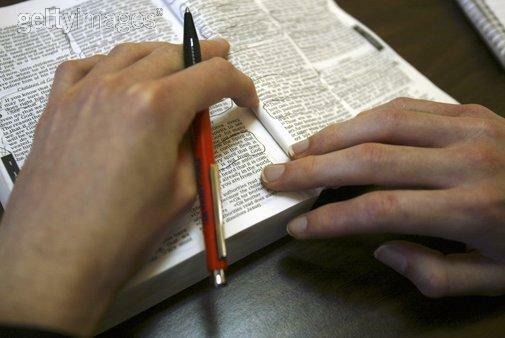 Here’s what I found amateur and naive: Reece treats the newly-discovered Gospel of Thomas as proof positive that his version of Christianity is the true faith. Using the argument that the Gospel of Thomas is older than the other gospels, including a huge reliance on the Q hypothesis, Reece draws a distinct line between Pauline Christianity and the faith of Jesus. While Reece’s arguments are plausible, it is his certainty and his need to prove himself in history that I find amateur and naive. Biblical scholars who have devoted their lives to these same studies speak with far less certainty, and put far less personal faith in their conclusions. I want to urge Reece to ground his faith somewhere outside any particular theory of the earliest Gospel or the historical Jesus. This is where I think Reece’s book got under my skin a bit: he does not realize (or at least does not acknowledge) that there is an entire history of Christianity, even an American Christianity, that already agrees with his conclusions. This fills me with both frustration and pity. 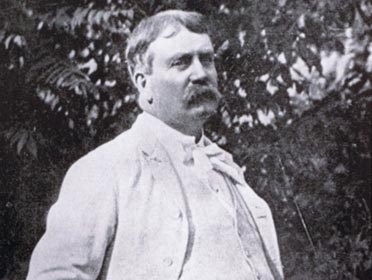 Frustration that he did not acknowledge the other stream of American Christianity that is working to build the kingdom of God here and now, that launched the Social Gospel movement and worked for the abolition of slavery, women’s suffrage and the quest for civil rights, just to name a few examples. In Reece’s book, my kind of Christianity is frustratingly absent as a significant force in American history. But I also feel pity, because Reece’s journey is highly personal, and it seems like he has never met a Christian from outside the fundamentalist circles. It is a painful and lonely journey to lose one’s faith community while holding on to faith, and I am sad for him that he had to reinvent his own faith without a community of support. I want to invite him to the United Church of Christ, and tell him that he’s not alone. In the end, the book is a mixed bag. I recommend it for that last chapter alone, which is hard to grasp without reading the whole, and is so rich with faith and perspective. It moved me, frustrated me, bored me, intrigued me, inspired me. Most of all, it left me wondering about the church member who recommended it to me. What was his experience? What drew him so strongly to this text? I need to ask him.